As some of you know I have been organising a swap for August over at Threadbias. I decide to make peg bags to add a bit of sparkle to wash days. 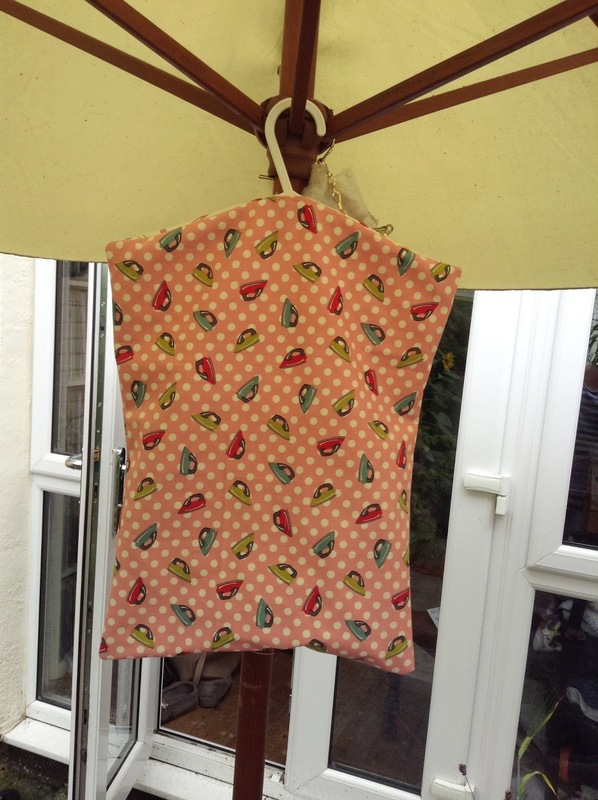 So far I have made peg bags for my mum, little sister, my little niece and me. Now I have made this one for my swap partner, who lives in America. 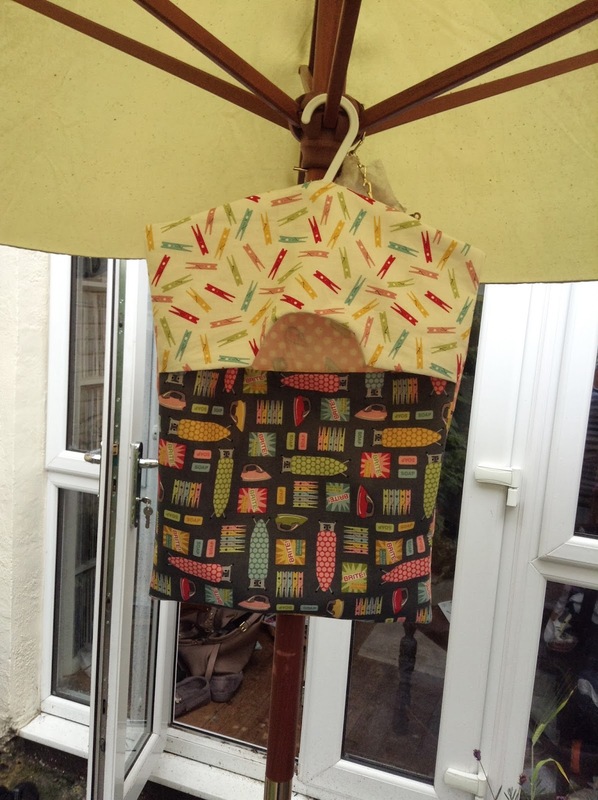 The fabric I have used is from The Henley studio. The back of the peg bag is Wash day Irons. And the front top is Pegs ( well it is for peg bags) and the bottom part is wash days utility room. I just love these fabrics, they are such fun. I took the pictures under the summer umbrella because it was raining!!!!! Well it is Britain and our summers are part sun part rain. 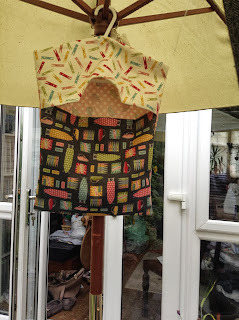 Hopefully it will be lots of sun for my swap partner so the peg bag will get lots of use. I shall post a picture of my peg bag I receive from my swap partner when it arrives. See you soon and keep sewing.